Over the past few years, Disney has found massive success in producing live action adaptations of their animated classics. Since 2015, Cinderella, The Jungle Book, and Beauty and the Beast have all been remade with others scheduled to follow. In fact, Aladdin, The Lion King, and the sequel to 2014’s Maleficent, subtitled Mistress of Evil, are on the way in 2019 alone. While this may seem like a recent trend, the idea of the Disney remake picked up steam back in 2010 with the release of Tim Burton’s Alice in Wonderland. Now, Burton returns to work with Disney on one of their oldest animated classics in Dumbo. Burton’s career has been something of a rollercoaster since his first feature film, 1985’s Pee-wee’s Big Adventure. He hit career highs with films like Beetlejuice, Batman and its sequel, Batman Returns, and Edward Scissorhands. Since the release of his laughable remake of Planet of the Apes, much of his work has been forgettable with a few highlights (Big Fish, Sweeney Todd, Big Eyes) sprinkled in. Even when Alice in Wonderland was released, the film received mixed reviews despite still making bank at the box office. Of course, Burton’s visual style was a perfect match for that film even if the storytelling was a bit off. Much of what Burton brought to Alice in Wonderland has carried over to Dumbo. Though, this new film should receive better reviews than Burton’s first go-round with Disney. The film begins with circus performer and World War I veteran Holt Farrier (Colin Farrell) returning to the Medici Brothers Circus in 1919. 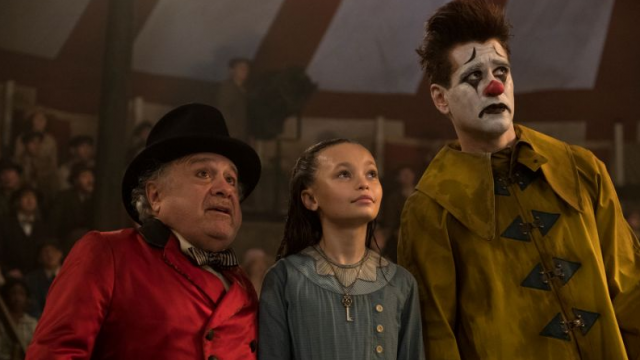 The circus, led by Max Medici (Danny DeVito), sees financial hardship following the death of Holt’s wife. Holt, who lost his arm in the war, discovers that his horses were sold to keep the circus going and is reassigned to take care of a pregnant elephant, Mrs. Jumbo, along with his two children, Joe (Finley Hobbins) and Milly (Nico Parker). Soon, Mrs. Jumbo gives birth to a calf with overly large ears to which Max instructs Holt to cover them up. Originally dubbed Baby Jumbo, the calf unintentionally reveals his ears during a performance, causing the crowd to name him “Dumbo.” They heckle and laugh at him which sends Mrs. Jumbo on a rampage. She’s then chained up and isolated from Dumbo before being sold. As Joe and Milly attempt to cheer Dumbo up, they discover his abnormally large ears allow him to fly. He becomes the headline act for the Medici Brothers Circus and attracts the attention of the owner of Dreamland, a massive amusement park-like circus. The owner, V.A. Vandervere (Michael Keaton), and his French trapeze artist, Colette (Eva Green), approach Max about becoming partners and advertising Dumbo as the main attraction at Dreamland. Max agrees while the children see this as a way to earn money to buy back Dumbo’s mother. From the beginning, a live action adaptation of one of Disney’s shortest films wasn’t going to be the easiest task. The 1941 animated Dumbo claws its way to a 64 minute runtime. There’s a lot of meandering and long, drawn out sequences that seemingly have nothing to do with the film’s story. Basically, the second half of Burton’s film is all new material. Ehren Kruger handled screenwriting duties and does a relatively decent job enhancing the original material. No, the screenplay isn’t going to blow anyone away but it gets the job done. The animated film didn’t show all that much of Dumbo’s flying abilities nor the huge attraction that he would become. 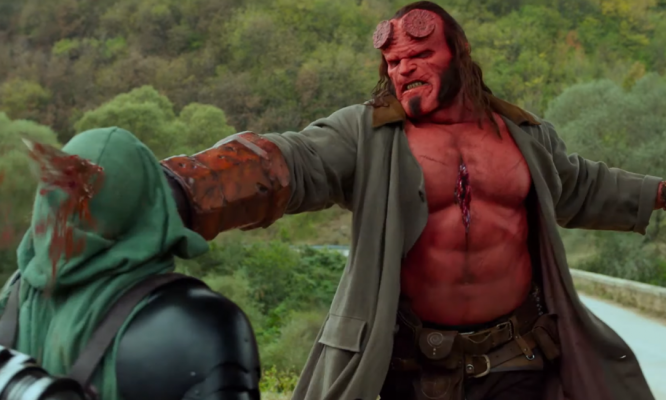 This new film is pretty much all about that and it makes sense. Tying Dumbo’s willingness to entertain to his desire to save his mother is also a nice callback to the animated film. As the 1941 film doesn’t have much going on in terms of story, Burton and company had to come up with a way to put events into motion in this new version. Hence, the addition of the Farrier family. Unfortunately though, it’s hard to sympathize with the characters of Holt, Joe, and Milly as they’re just not that interesting. As a viewer, you don’t hate them but they don’t feel all that important either. Since none of the animals speak in this version, Burton compensates by having humans tell the story for the animals. There are times where someone like Milly will blatantly tell someone how Dumbo is feeling or what he wants. 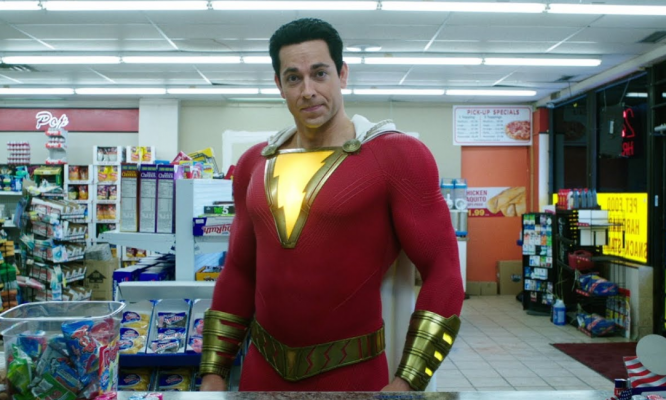 It’s not the most subtle way to drive the story but, for this film, it at least works. Danny DeVito does shine throughout the film’s first act but quickly takes a back seat to the other characters. This is especially true when Michael Keaton’s puzzling V.A. Vandervere is introduced. A fine actor in his own right, Keaton gives an odd performance where he slips in and out of accents and, again, is just there to coax the story forward. Luckily though, there’s some classic Burton magic at the core of Dumbo. Frequent musical collaborator, Danny Elfman, scores the film and, while it’s not Elfman’s most memorable work, it brings a level of enchantment and whimsy to the film. Of course, the best thing about Dumbo is the title character himself. The effects team perfectly captures the heart of the Disney character in this new, realistic CGI character. Even with his big, floppy ears and friendly eyes, you accept him in live action form. Despite the two versions not looking remotely similar, there’s still something familiar about the 2019 version. 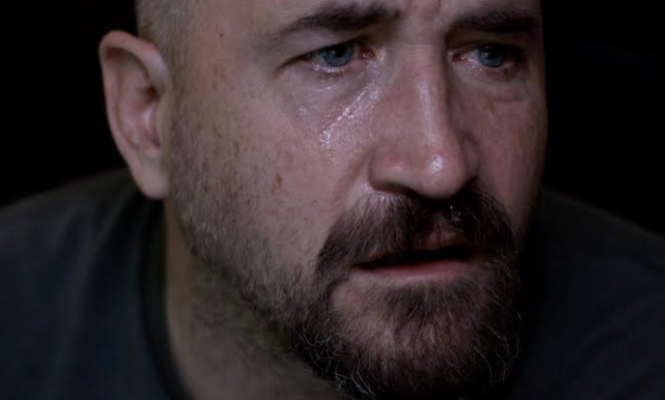 The character was meticulously crafted to show emotion while providing viewers with everything they loved about the original. 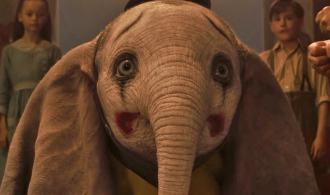 Whereas a lot of CGI characters are often made to look impressive without actually resonating with an audience, Dumbo accomplishes both and is the unquestionable highlight of the film. Overall, Dumbo is a very good adaptation of a classic, yet somewhat ho-hum, cartoon. Tim Burton hasn’t had a ton of luck outside of his own original content. Perhaps it’s because the 1941 film is mostly devoid of story that Burton is able to put his spin on something that pays homage to a timeless work but still feels fresh. 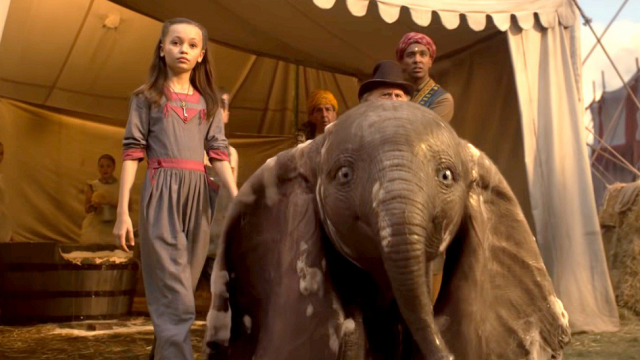 Sadly, Dumbo does have the misfortune of following excellent live action Disney remakes like The Jungle Book and Beauty and the Beast and it doesn’t quite reach the heights of either. Yet, it’s still a very solid and enjoyable experience for the whole family. Though it may be lacking storytelling and emotionally deep characters outside of its namesake, Dumbo keeps Disney on a roll and is a feather in the cap of a capricious filmmaker.